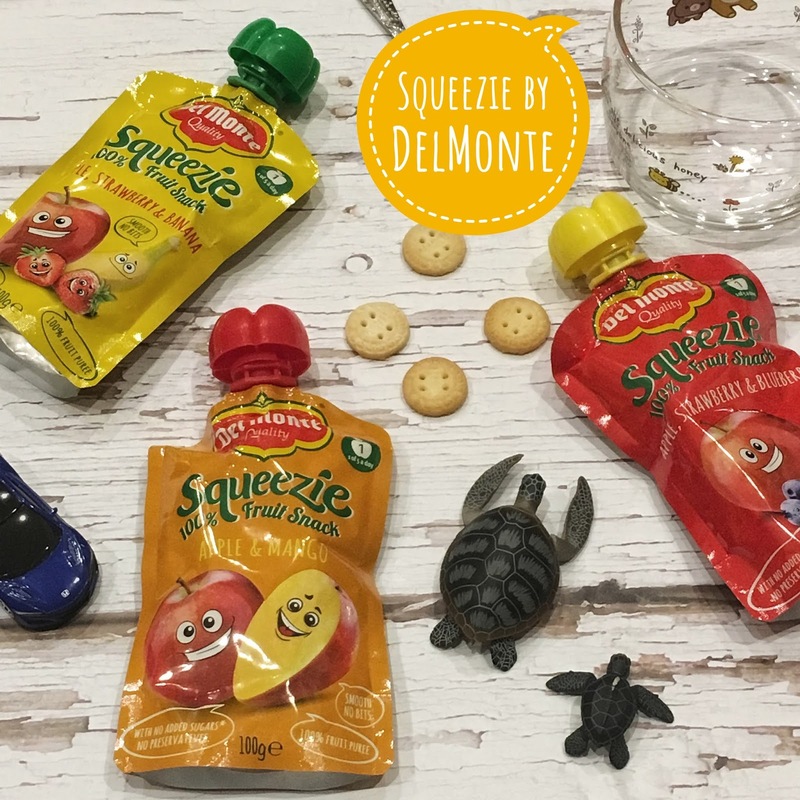 Being a travel lover is not easy with a little child, they are not yet eating adult food but you want them to have a healthy diet; with vegetables, fruit and proteins, of course! 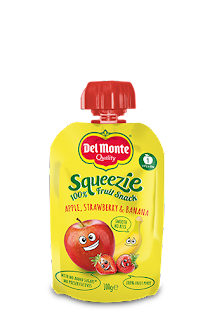 So, when I travel or eat out I always take a fruit pouch with us, it makes me feel more confident about my little one's diet, he can eat as much as "fast food" as he wants but I know he will have a healthy dessert and of course a better meal, next time! I am sure I am not the only mother being concerned about the Kid's Menu on the restaurants, some of them have fruit or salad as a green dish, but if you child is young provably will not eat it! So having a pouch is the best way to know our little children will eat something healthy on their meal, so that's why I want to share with you the Squeeze by DelMonte. 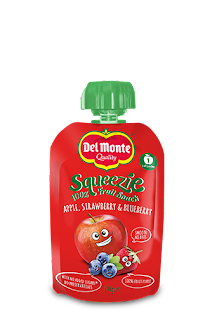 I am sure you know that DelMonte is not a kids brand, but maybe that's why I feel more confident on the product inside the pouch, DelMonte is one of the largest USA fruit producers, so you can know for sure that the fruit inside the kids pouches is 100%, so totally healthy! The Squeezie by DelMonte range has three different fruit mixing to choose, the Apple-Strawberry-Blueberry, the Apple-Mango and the Apple-Strawberry-Banana. 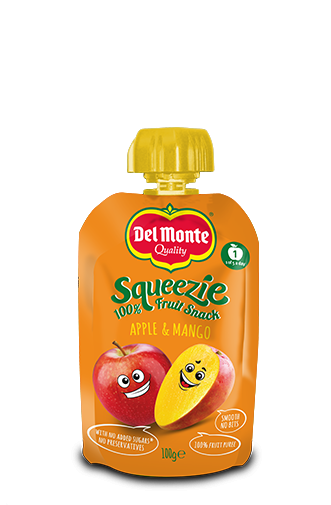 I want to say thanks to Haygarth and DelMonte for allowing my little one to try these delicious fruit pouches!